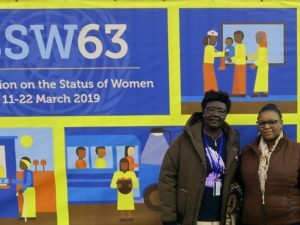 I have just returned from an intense week at the United Nations Commission on Status of Women (CSW63) forum with Agnes Petia, Coordinator of the South Sudan Council of Churches National Women’s Programme (SSCC-NWP). The CSW’s priority theme this year was social protection systems, access to public services and sustainable infrastructure for gender equality and the empowerment of women and girls. The messages at the CWS were clear, universal and urgent. Rising inequalities and persistent poverty, compounded by the impacts of worsening political and humanitarian conflicts, climate change and forced migration are having a particular and devastating impact on the lives of women and girls. Women from around the world addressed intersections of conflict and war including violent extremism. Conflict has differential and devastating consequences on women and girls throughout the world. Furthermore, evidence suggests that social protections in these fragile and conflict-affected areas and regions are weak and inaccessible to women. I had the opportunity to attend sessions that were specific to issues affecting women in areas experiencing conflict including in Israel/Palestine, the Democratic Republic of the Congo (DRC) and South Sudan, where KAIROS works with partners on our Women of Courage: Women, Peace and Security program. At a session hosted by the Permanent Observer Mission of the State of Palestine, panelists expressed concern about the alarming increase in violence, particularly against Palestinian women in Israel, the West Bank and Gaza. 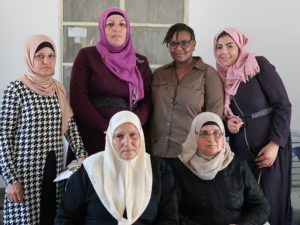 Women in the region continue to experience unique challenges, many of which are distinguished by the structures of the occupation which women experience on a daily basis, but differently depending on where they live. 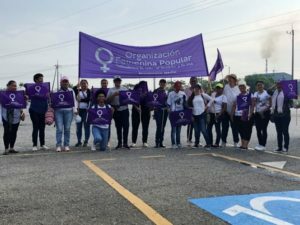 Many women are living with the impending threat of violence, revocation of identity cards and residency status, and the uncertainty of legal protections, especially in instances of discrepancies in laws related to jurisdictional boundaries. These circumstances make women more vulnerable to violence of all kinds, including domestic violence and violence perpetrated by security forces, who are able to operate with impunity in this context where there is ambiguity and conflict in judicial systems and jurisdictions. I heard from women from South Sudan, the DRC and other African countries, about how protracted conflict has caused persistent poverty, increased gender-based violence including sexual violence, forced migration, displacement and a worsening humanitarian crisis. Speaking at a session highlighting the African regional dimension to this over-arching theme, Ms. Bineta Diop, the Special Envoy of the Chairperson of the African Union Commission on Women, Peace and Security expressed the urgency for social change that can tackle gender-based violence and gender-related stigma, including tougher measures on perpetrators and instigators of conflict and sexual violence. Patriarchal contexts across the world subjugate women to hierarchies of power, making them vulnerable to gender inequality and gender-based violence. I attended a session on patriarchal masculinity and militarism that provided an interactive forum for participants to address challenges in transforming gendered power structures and engaging men in the implementation of the Women, Peace and Security agenda. 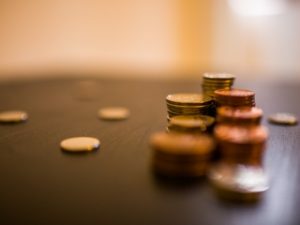 Delegates agreed that tackling gender inequality requires confronting the hierarchies of power relations, the pervasive dominance of male logic and authority, and the systemic replication of injustice against women, which characterize patriarchy around the world and have deep-seated gender dimensions. The CSW forum reaffirmed that across cultures, the under-representation of women should be highlighted and changed to ensure gender-centred social protections that align with broader social movements. When designed with women’s needs in mind, such social protection policies can be pro-poor, pro-development and pro-gender equality, reducing the heavy burdens on women, while at the same time, contributing to reaching overall global Sustainable Development Goals (SDGs). In situations of protracted conflict, post-war and post-disaster, reconstruction projects can be a space to transform gender relations and be environments for building participatory sustainable peace. Gender equality cannot be achieved without addressing the root causes of violence against women, particularly sexual violence and this includes strengthening the capacities of national and international frameworks and their implementation. KAIROS and its Women of Courage: Women, Peace and Security partners in the DRC, South Sudan, West Bank, Colombia and the Philippines are working from an intersectional gender approach towards transformative and participatory peacebuilding and gender justice. The CSW was an opportunity for rich discussions and exchange. The most compelling voices for me were those of survivors of sexual violence in situations of war, who have become the heart of the fight for justice and peace in their regions. I was encouraged by the collective voices of women who were eager to continue their gender justice and equality work back home, in their communities and regions with renewed vigor after engaging in the high-level CSW forum. There was also a clarity and urgency in the messages I bring back. Now is the time to pressure our governments and stakeholders for more action, investment, strengthening and implementation of gender-responsive, human rights-based and integrated approaches to achieve gender equality and the empowerment of women and girls. 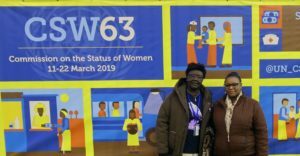 See photos from CSW63 here. The following is a reflection by Jane Thirikwa, KAIROS Global Partnerships Coordinator, on her week at the United Nation Commission on Status of Women. Agnes Petia from the South Sudan Council of Churches also attended and is writing a reflection which will be posted shortly.